No shortages of worthy headlines this week in the Finger Lakes and Upstate New York. FingerLakes1.com News Director Josh Durso and Finger Lakes Morning News Host Ted Baker sit down to discuss the latest storylines playing out across the region. The two discuss a pair of censured judges from Wayne County, a familiar contested race in Auburn, legislation to stop supervised injection sites across New York State, and much more. Watch below, or listen to the show on Apple Podcasts, Spotify, Stitcher, or Google. Check out the show’s podcast homepage by visiting anchor.fm/the-debrief-podcast on desktop or mobile browsers. 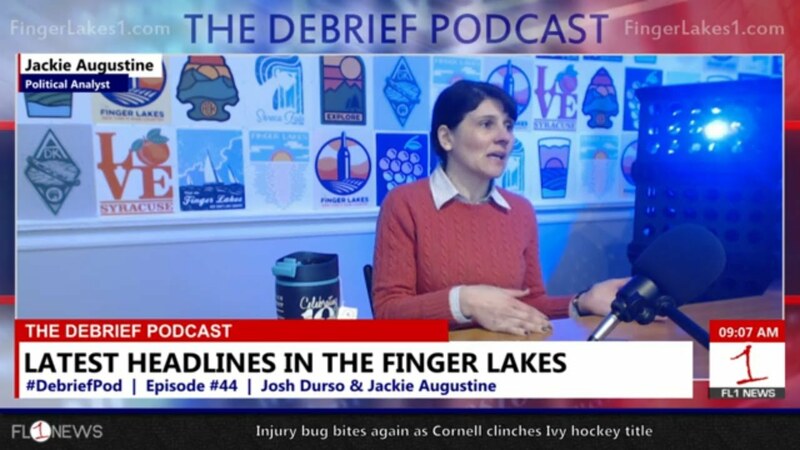 Check out a special Wednesday Edition of The Debrief Podcast exclusively on FingerLakes1.com. Jackie Augustin joins Josh Durso to break down the latest headlines, which include local election changes – such as the start of petition passing in a couple weeks, and the legislature’s sexual harassment hearings. The duo also break down the ever-present discussion about splitting up New York State into two, separate states. 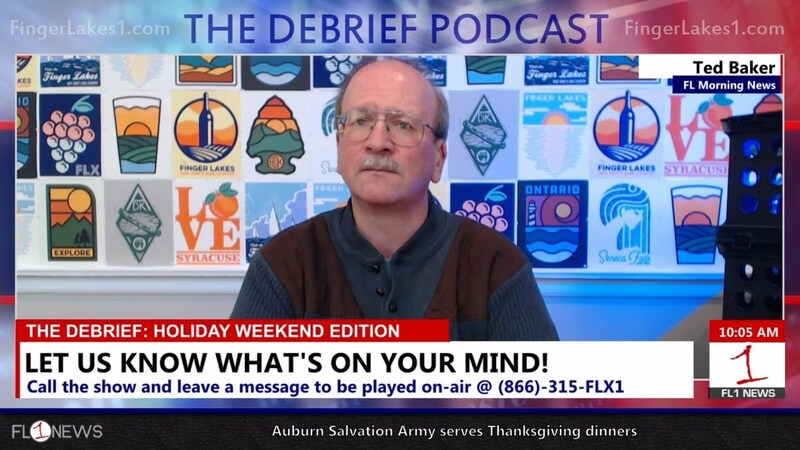 Check it out below on YouTube, or listen to the podcast on your favorite podcasting app – like Apple Podcasts, Spotify, Tune-In, or countless others by visiting The Debrief’s homepage over at anchor.fm/the-debrief-podcast. It was a busy week in the FingerLakes1.com Newsroom this week, as the polar vortex provided more issues than simple ‘chill’. 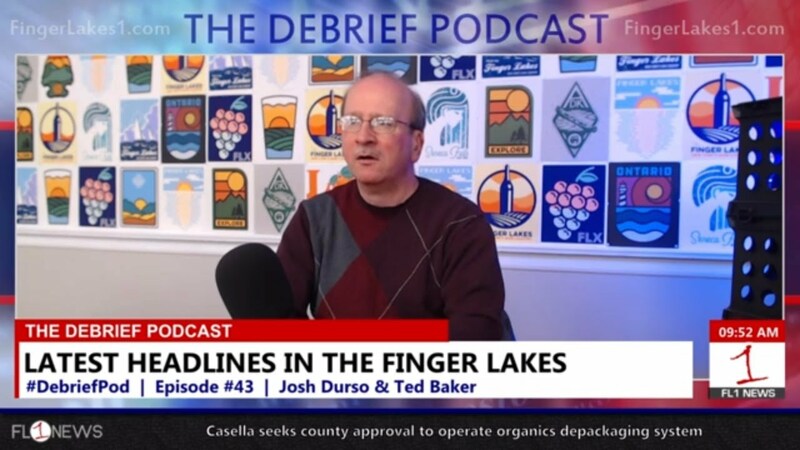 On the Friday, February 1st edition of The Debrief Podcast – Josh Durso is joined by Ted Baker, host of Finger Lakes Morning News on WGVA, and WAUB to discuss all of the headlines that made their way through the region. – A number of resignations in Cayuga County.